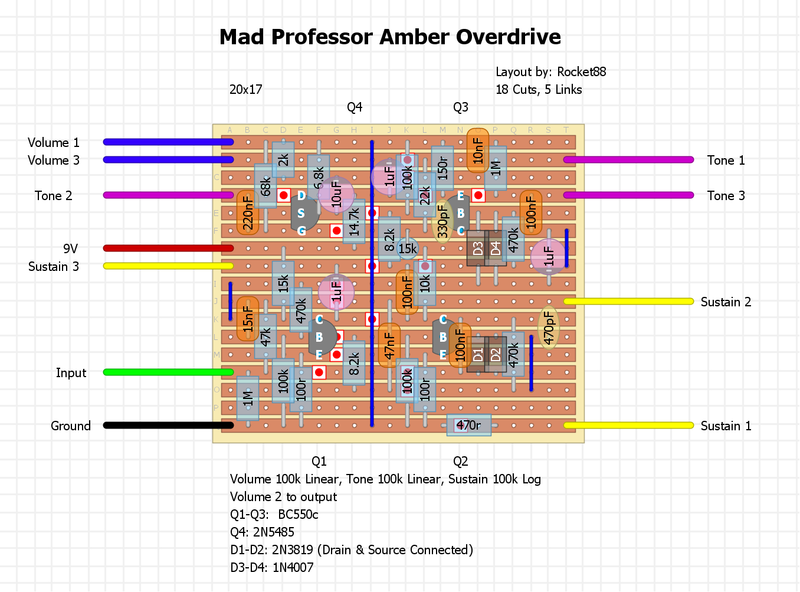 NOTICE: Amber Overdrive is a medium input impedance device that places a light load on your guitar pickups to produce a smoother tone. it will work best as the first pedal in the chain. 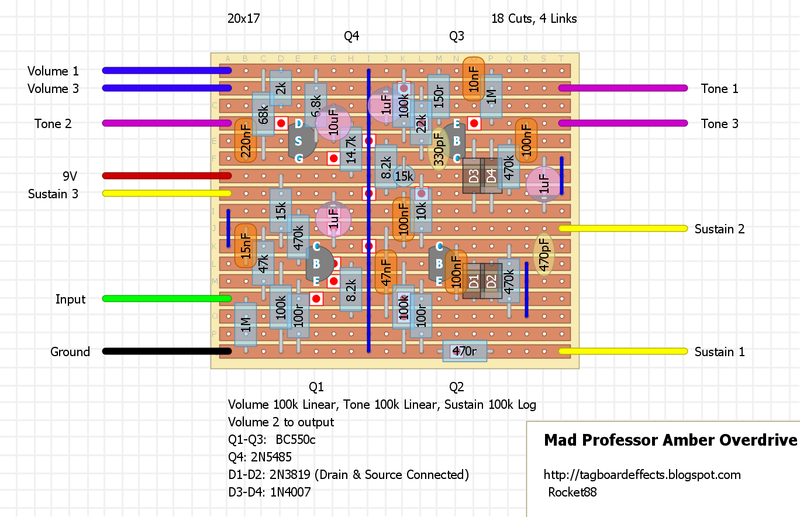 if you run a buffered pedal ahead of Amber Overdrive you will get an increase in treble and upper midrange. 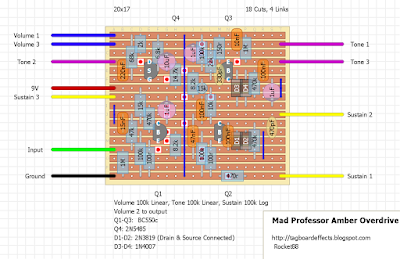 Here is V.2 of Catalinbread SFT Overdrive. You can find schematic and extra info on the original FSB's thread here. 09/08/16 Layout updated! Changed Sw6 to Sw4.